Read . . . . .Mouth – from Proverbs – Holy Bible (KJV) . I am no preacher, but, am a prime sinner and living in this world in HIS mercy. For a sinner like me too, when I read “The Holy Bible” KJV, the following verses were given in the context of “ Alleluia”. Rev 19:3 And again they said, Alleluia. And her smoke rose up for ever and ever. It is for your attention, the above verses are more meaningful, ONLY if you read the previous TWO chapters of the Book of Revelation. you have to read the ‘these things’ in the previous chapter only. you have to read the previous chapter too. ……READ……you will understand the MYSTERY of God from these chapters……. 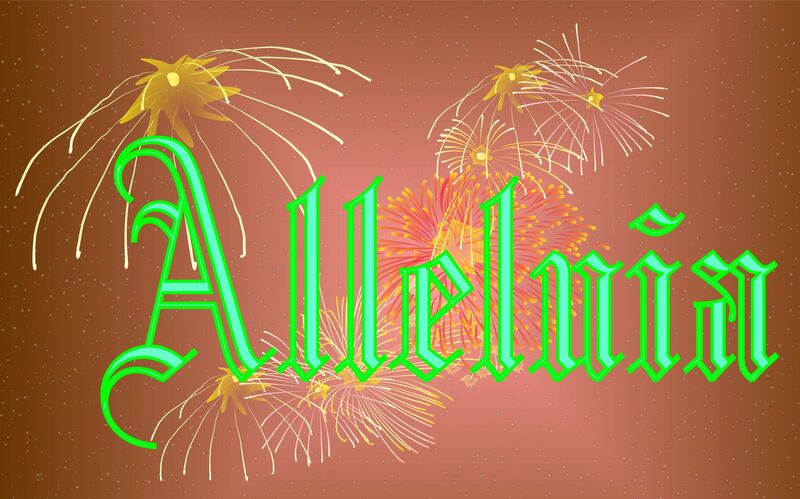 How Many Times, Jesus (Yeshuah) said “Alleluia”? (2017, April)…How Many Times, Disciples of Jesus (Yeshuah) said “Alleluia”? How Many Times, from Avraham till…..?????? Mystry!!!! !